Nutritional Support for Healthy Skin, Nails and Hair. Beauty comes from within - cosmetics and clothing can only go so far. 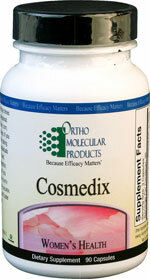 A supplement like Ortho Molecular Products’ Cosmedix will help bring out your inner glow. Feed your body what it needs to help repair and rebuild. Every capsule combines vitamins‚ minerals‚ and botanicals that work together to promote hair and nail health. Shiny hair is one of the first things other will see while they look at you‚ while strong and healthy nails are signs that you pay attention to detail with your nutrition. 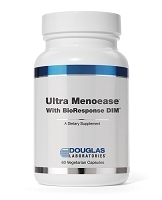 Unlike many common hair and nail care products that are applied externally‚ this supplement doesn’t contain any harmful chemicals that can cause damage. All you have to do is take one capsule of Cosmedix three times a day‚ and wait to see the results. It's probably one of the easiest ways to make yourself look great from the inside out‚ and is more convenient if your busy schedule prevents you from eating a balanced diet regularly. Vitamin A‚ which is a vitamin that's important for healthy skin and hair. Biotin‚ which is a B vitamin that supports cell growth in the hair‚ nails‚ and skin. 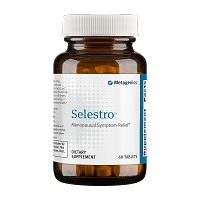 Selenium‚ which is a mineral that supports healthy hair and nails. 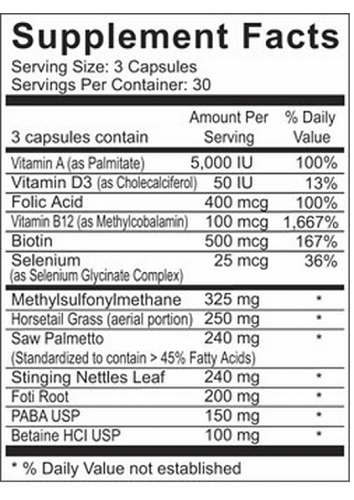 Horsetail grass‚ which is an herb that may strengthen the hair and nails. PABA‚ which is a chemical that may darken grey hair while helping support healthy skin‚ nails‚ and hair. Betaine‚ which may promote hair and nail growth. Works for me. I have found my hair to be healthier and less sparse while using Cosmedix. It is a more pricey than I like and last year used another brand for 'healthy hair, skin, nails' for about 4 months and noticed my hair was not as thick. I went back to Coxmedix and noticed an improvement within 10 days. Highly recommend. I've been using Cosmedix by Ortho Molecular Products for over a year and have found my hair to be much healthier! Between this and the Biotin I have seen new growth. It made my hair healthy. Saw palmetto supports normal 5a-dihydrotestosterone (DHT), thought to be involved in supporting the thickness of hair as individuals age.